Dongdong Gu, "Laser Additive Manufacturing of High-Performance Materials"
This book entitled “Laser Additive Manufacturing of High-Performance Materials” covers the specific aspects of laser additive manufacturing of high-performance new materials components based on an unconventional materials incremental manufacturing philosophy, in terms of materials design and preparation, process control and optimization and theories of physical and chemical metallurgy. This book describes the capabilities and characteristics of the development of new metallic materials components by laser additive manufacturing process, including nanostructured materials, in situ composite materials, particle reinforced metal matrix composites, etc. The topics presented in this book, similar as laser additive manufacturing technology itself, show a significant interdisciplinary feature, integrating laser technology, materials science, metallurgical engineering and mechanical engineering. This is a book for researchers, students, practicing engineers and manufacturing industry professionals interested in laser additive manufacturing and laser materials processing. Dongdong Gu is a Professor at College of Materials Science and Technology, Nanjing University of Aeronautics and Astronautics (NUAA), PR China. I took part in this conference, and to me this was quite exciting.. Hope to see people contribute their talent..
SANTA CLARA, Calif. – Several devices and solutions to provide quality health care and access to people at the bottom of the pyramid were highlighted July 24 and 25 at the Indian Institute of Technology’s Global Leadership Conference here. Addressing the needs of India’s poorest citizens was a prevalent theme throughout the two-day conference. Several panels featuring Indian American entrepreneurs, among others, addressed issues of inadequate primary school education, food and water scarcity and lack of consistent energy supplies (see India-West’s report on the conference here: http://bit.ly/1H78siH). More than 175 million people in India lack access to any form of health care. The problem is especially acute in India’s villages. “India lives in its villages,” said Ranjani Saigal, executive director of the Ekal Vidyalaya Foundation in the U.S. “If the village does not grow, India does not grow,” said Saigal, adding that the needs of villagers must be met to allow villagers to remain in their homes – rather than migrating to urban areas – and participate meaningfully in growing the country’s economy. “Access to health care is a basic human right,” asserted Indian American venture capitalist Vish Mishra of Clearstone Venture Partners. During a July 24 morning panel titled “Bottom of the Pyramid Innovation,” four innovators showcased health products aimed at the low-income market in India. Armand Neukermans, U.S. resident director of the Jaipur Foot project, said: “I have never had a product that worked so well.” Neukermans connected the Bhagwan Mahaveer Viklang Sahayata Samiti – which has fitted 1.3 million amputees with the Jaipur Foot free of charge – with Stanford University, which has developed the Jaipur Knee and Hand. Donaldson also highlighted “Brilliance,” a low-cost phototherapy device to treat jaundice in newborn babies. Approximately three out of five babies in the developing world suffer from some degree of jaundice; the illness is the number one cause of hospitalization for newborns but can effectively be treated with phototherapy. In typical phototherapy treatment, a baby lies in a bassinet and is exposed to fluorescent light which changes the form of bilirubin – excessive levels of bilirubin cause jaundice – into a form that can be excreted in urine or stool. In India, most of the phototherapy devices surveyed by Stanford did not meet the American Association of Pediatrics standards, largely because the devices required fluorescent bulbs, which need changing every four months but are costly and difficult to purchase in the developing world. D-Rev’s “Brilliance” uses LED tubes which last 60 times longer than CFLs, thus needing to be changed about every 10 years. Raghu Dharmaraju, chief operating officer of Embrace Innovations, demonstrated the Embrace Warmer, designed to help hypothermic infants who are born prematurely or with low birth weight. The Embrace Warmer – which looks like a school backpack – is heated with a sheet of special wax, which is then placed at the bottom of the backpack. The baby is then placed in the insulated, heated backpack. Embrace Innovations has distributed a few thousand of the low-cost incubator to hospitals in 14 Indian states. Manu Prakash of Stanford University demonstrated the “foldscope,” a 50 cent folded-paper and lens microscope which can be used to detect certain diseases, including leishmaniasis, schistosomiasis and malaria. Nearly 10,000 foldscopes have been distributed throughout the developing world and Prakash Labs has posted a template online so that others can replicate the foldscope. A July 25 morning keynote address was delivered by Elizabeth Holmes, founder of Theranos, Inc., which offers medical lab tests at a very low cost. Holmes, now 31, dropped out of Stanford University at 19 to develop Theranos, which uses a finger-stick device to conduct its tests. Costs for tests run from $3 for a cholesterol check to $35 for a fertility test. Holmes said the tests can be used for early detection of diseases including cardiovascular issues, diabetes and cancer. “We are providing actionable information that can influence societal development; a system where everyone has access to information before a disease progresses,” said Holmes. Theranos, which started out in Holmes’ basement, now operates primarily in Arizona and will soon have testing facilities in Palo Alto, Calif., and Pennsylvania. #1: Smartphone connects to secure wireless network, scans the barcode/UID on top of the tag - sends the Unique ID to the central node - central node finds the tag attached to that UID, logs the transaction details and triggers it to make the mechanical action - tag makes the mechanical action - End. Basically I'm looking for anything that is extremely cheap and can be used in such use cases - it could be NFC tags or RFID or BTLE. If someone has experience in this field, please help. The tag themselves are just tags, broadcast chips, they don't have themselves any capability to do any mechanical actions, maybe you need to check out smart sensors, like this, http://www.365agile.com/iot-smart-sensors/. What exact mechanical action are you triggering? rhytha wrote: The tag themselves are just tags, broadcast chips, they don't have themselves any capability to do any mechanical actions, maybe you need to check out smart sensors, like this, http://www.365agile.com/iot-smart-sensors/. What exact mechanical action are you triggering? Most of such tags need a machine to remove them and attach them. I'm looking at the possibility of such a tag being made to unlock itself through a command from a central node/handheld device. Ramana: that Metal printing thing would be revolutionary if it takes hold and can scale. Is it economical or can it become economical vis a vis current manufacturing techniques? Last edited by Vayutuvan on 24 Aug 2015 21:26, edited 1 time in total. Thousands of mirrors, called heliostats, direct the sun’s energy onto a receiver, which was built using expertise gained from constructing the space shuttle main engine. The NASA spinoff receiver sits on top of a 550-foot tower. Current space exploration would not be possible without solar panels. The thin sheets of photovoltaic cells absorb energy from the sun and convert it to electricity. A variety of spacecraft use the technology, from the International Space Station in low-Earth orbit to the Opportunity rover on Mars and the Juno spacecraft currently on its way to Jupiter. In “The Martian,” solar panels are the main source of power both for the habitat’s systems and for charging rover batteries. On Earth, solar power can provide an alternative energy source for homes and businesses alike. When harnessing the power of the sun, it never hurts to have a few rocket scientists around to help. In the 1970s, Aerojet Rocketdyne of Sacramento, California, began development of the RS-25 engine -- the space shuttle main engine, as it is commonly known -- under contract to NASA’s Marshall Space Flight Center in Huntsville, Alabama. The engine will also be used on the new Space Launch System. In the 1980s and 1990s, the company used its rocket engine development experiences to help develop solar power tower plant technology. After successful demonstrations of solar power tower plants, Aerojet Rocketdyne licensed its technology to SolarReserve, a Santa Monica, California-based company. In 2013, construction began on the Crescent Dunes Solar Energy Plant near Tonopah, Nevada, that sits on a 1,500 acre field. The solar power plants work by concentrating sunlight reflected off a mirror array, comprised of over 10,000 heliostats -- essentially rotating mirrors -- to a concentrator that stands on top of a 550-foot-tall tower. The concentrator heats a molten salt (liquid when above 1,000 degrees F), which then is transferred to a heat exchanger when electricity generation is needed. The heat is given off in the form of steam, which drives a turbine. The now cool salt is recycled through the system to be used again. The clean energy plant generates enough electricity to power 75,000 homes during peak energy times. Pruthvi, a chip, can connect India's rural population to the internet. A tiny chip designed in Bengaluru, the size of a postage stamp, might hold the answer to connecting India's rural population to the Internet, an ambitious goal being chased by the likes of Google, Facebook and Microsoft. "World over regulatory authorities are using or planning to use this spectrum for their respective connectivity programmes. India can take the lead in both technology and the markets for TV White Space-based broadband delivery. And how long can the government not push the envelope... It's got to be expedited sooner than later," said Parag Naik, CEO and cofounder of Saankhya Labs. The growing demand for the Internet among urban and rural Indians, stoked by mobile apps, is well recognised. But demand for broadband is unfulfilled largely due to nonavailability or poor infrastructure. This is also a thrust area under Digital India pursued by the government. White Space — shareable spectrum — is seen as the tech that can help bridge this demand. India should actively participate in assessing the technical viability and standards process. There are risks, but rewards as well Wifi is a classic example of success. ^interesting idea, but I guess applies mostly to rural areas.. they must have however need gigabit switches/routers at the panchyat fiber node point. can the tv whitespace spectrum be time divided or freq div in the available bandwidth? Helpful details on how to do RWH in different areas of Chennai. This is a story from the U.S., but it might be useful for India. (I don't have an engineering background, so I don't know.) What I admire most is the attitude of the residents: they didn't sit around and wait for a government/corporation to assist them. Madhuchandan, a software engineer from US is making farmers richer! From being branded as the farmers’ suicide capital of Karnataka till early this year, Mandya, a good forty kilometers away from Mysuru, has ushered in a silent agrarian revolution as farmers are now selling organic farm products for good profits. This positive change in their lives occurred thanks to Madhuchandan, an young IT professional, who chucked his comfortable job in the United States to sow the seeds of an organic farming movement in India. Today, Organic Mandya’s retail outlet at the busy Bengaluru-Mysuru highway sells organic vegetables, cereals and pulses fresh from the farm. The products are in huge demand as people travelling along the highway buy these healthy products. Madhu had initially planned to set up his own farm and live the life of a farmer. However, the 37-year-old engineer was moved by the plight of farmer suicides and heart breaking stories of their families and decided to work for their welfare. After working for several IT majors, Madhuchandan co-founded a company called Verifaya in 2005. Madhu developed the Verifaya Studio, an automated testing software, which is now used by corporates across the globe. In terms of professional success, Madhu had achieved all that he had dreamt of. It was now time to give back to the village he hailed from. So in August 2014, he returned to India to pursue his passion of farming. Madhu and his team had to spend hours educating farmers to join the organic farming movement. It took a while before they could win the confidence of farmers, who have been neglected all the while and given false promises. Farmers needed support in communication, technology and marketing to sell their products. Though the farmers had good products, they did not know how to brand it and get a better price. “Farmers who toil hard to make sure millions don’t go hungry, should be respected but in India they are treated badly. Even agriculture scientists are misleading farmers. Once a group of farmers were advised to set the waste on fire after the sugarcane field was harvested. The fire actually destroys the micro-organisms that are needed to maintain the soil fertility. The biggest drawback of our country is that we have agriculturists who have lot of theoretical knowledge but have no practical wisdom. So they cannot guide the farmers properly. Our agriculture universities should have experienced farmers instead of experts,” points out Madhu. 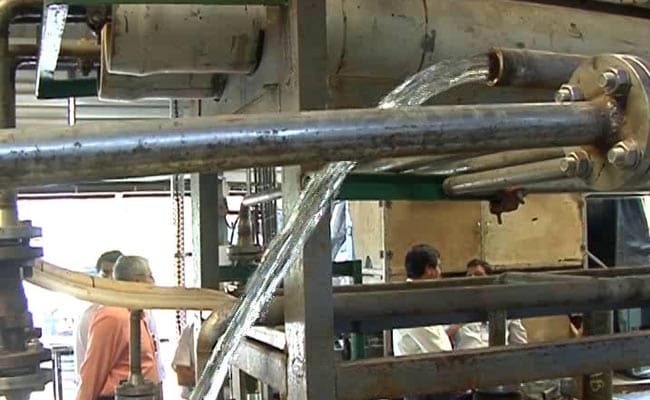 Mumbai: As 13 states struggle with drought, scientists in a corner of India have devised a way to make potable water - 6.3 million litre of it every day - from sea water. They have also developed certain filtration methods that ensure groundwater containing arsenic and uranium are safe to drink. Quote Expensive research report "Airborne Wind Turbine Market - Global Industry Analysis, Size, Share, Growth, Trends and Forecast 2016 - 2024"
In the last few years, the demand for energy derived from alternative sources has risen significantly as nations focus more on curbing their carbon footprint. In response to this increasing demand for clean and sustainable energy, wind power is gaining much significance worldwide. Energy derived from wind currently accounts for nearly half of the energy produced from alternative sources worldwide, and is predicted to grow significantly during the forecast period from 2016 and 2024. The findings of Greenpeace International and the Global Wind Energy Council (GWEC) show that wind turbines will supply almost 12% of the global electricity by 2020. Several technologies have been introduced to improve the ways in which energy from wind is harnessed—the latest in this endeavor being airborne wind turbines. An airborne wind turbine, as the name suggests, is a novel design concept wherein the rotor of the wind turbine is suspended in air without the support of a tower, leveraging mechanical and aerodynamic benefits. This also helps curb spending on tower construction and yaw mechanisms, or the need for slip rings. This new design is expected to render high velocity and greater efficiency at higher altitudes. How countries—both developed and developing—respond to this emerging technology will determine the future of the global airborne wind turbine market. The report presents insights into the various growth drivers and restraints that will have an influence on the growth trajectory exhibited by the airborne wind turbine market globally. It examines the market based on factors such as the prevailing competitiveness, the market size, lucrative regional markets, and key segments. The fluctuating prices of fuel derived from non-renewable sources, conducive government regulations, growing demand for energy, and utility-scale generation are the primary factors driving the market for airborne wind turbines. The ever-growing consumption of electricity, especially in emerging economies such as India, China, Brazil, and Russia has boosted the demand for alternative sources of energy. Wind being absolutely free, authorities are focusing extensively on putting to use the energy derived from wind. Furthermore, wind energy technologies typically call for low maintenance and the electricity derived is also very cheap, once the cost of building and installing turbines is recovered. The U.S., India, Germany, China, and Spain are among the major countries involved in generating wind energy on a large scale. Thus, enterprises operating in the airborne wind turbine market are expected to find lucrative opportunities in the aforementioned economies. Airborne wind turbines are portable and computer-controlled, which eliminates the need for an onboard pilot to operate the machine. Most importantly, no costly infrastructure, such as power stations or electrical grids, is required for installing an airborne wind turbine. These have been crucial factors driving the installation of airborne wind turbines worldwide. However, like any other technology, airborne wind turbines also have certain drawbacks. Harnessing wind energy from high altitudes has its own challenges—which include unforeseen collisions—and therefore requires automated control piloting for additional safety. Nevertheless, with the increasing investment on R&D, efforts are being made to design more reliable and robust airborne wind turbines. In order to study the prevailing competitiveness in the market, the report also profiles some of the leading players operating therein such as ACCIONA S.A., DeWind Co., Fuhrländer AG, and others. These companies are studied on the basis of their financial overview, strategies adopted, and development status. An account of recent mergers and acquisitions in the market is also included in the report. In 2009, Zhang described an alloy composed of cobalt, chromium, copper, iron, nickel and aluminium that was more than 14 times stronger than pure aluminium, but had nearly 3 times the ductility — a measure of a metal's ability to stretch without breaking. In 2011, Yeh devised a cobalt, chromium, iron, nickel, aluminium and titanium alloy that is twice as resistant to damage from friction as conventional wear-resistant steels. And in 2014, George and his team concocted6 a cobalt, chromium, iron, manganese and nickel alloy that can be cooled below liquid-nitrogen temperatures without becoming brittle. The material could be useful for cryogenic vessels, natural-gas pipelines and other low-temperature applications, such as spacecraft. Often, however, the best thing about high-entropy alloys — the massive number of possibilities — can also be researchers' biggest challenge. With more than 80 metallic elements in the periodic table, says Miracle, “there are way too many alloys to test, and not enough time”. For his own work on high-entropy alloys for aircraft engines and aeroplane frames, he is searching for materials that are lighter, more resistant to corrosion and better able to maintain their strength at high temperatures than anything currently available. To cope with the abundance of choices, Miracle is focusing on elements such as niobium, tantalum and chromium, which have high melting points to begin with. Another strategy is to try to replicate the characteristics of alloys that are known to work well. For example, some steels are not just a random mix of atoms, but instead contain small nodules of compounds that form when the steels cool rapidly. Although such a composite structure is less stable than a random mixture, it confers high ductility to the steels. Cem Tasan, a metallurgist at the Massachusetts Institute of Technology in Cambridge, has used that knowledge to blend iron, manganese, cobalt and chromium into a high-entropy alloy that is simultaneously extremely hard and highly ductile — traits that once seemed completely incompatible. “It doesn't make sense to abandon all that we know,” he says. The mini-skyscrapers at Ames represent another, more systematic approach. The machine can build up to 30 pillars in less than an hour with a slightly different mix of raw materials in each, so that researchers can test the properties of many alloys quickly. Matthew Kramer, a materials scientist at Ames, leads a project to find high-entropy alloys that can withstand high temperatures and resist corrosion, which could help power plants to operate at higher temperatures and become more efficient. Aiding his team is Duane Johnson, a theorist at Ames who, in 1995, developed an algorithm to predict the properties of conventional alloys before they are made. In 2015, he expanded the code to work for high-entropy alloys. Johnson's algorithm assesses how much one element is attracted to or repelled by another, and then using that information to predict whether a mixture of elements will form a compound, a solid solution or a mixture of both. That enables Kramer's team to identify which alloys might be worth investigating. The experimental results are then fed back into the algorithm to validate and improve the code. 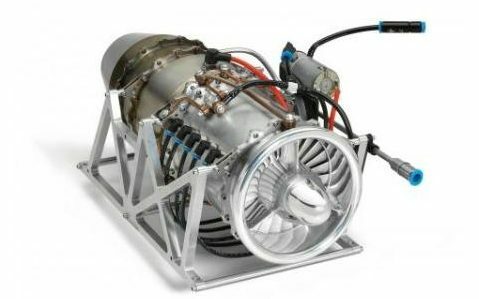 Could this mini jet engine maker be the next Dyson? Bladon Jets, which is backed by Indian industrial giant Tata, landed the deal with QTE, which provides infrastructure services into Africa, following six years of development. To date, it has only delivered small projects using protoypes; this is the first time its generator will be manufactured at scale. The first units will be shipped in the final three months of this year and will be used across Uganda, Malawi, Kenya, South Africa and Tanzania. There are currently 200,000 active telecoms towers in Africa although this number is rising steeply. Its invention, a 12kiloWatt generator, is believed to be a radical improvement on traditional diesel generators because it costs much less to run and maintain, saving thousands of dollars per tower, per year. It can run on a range of fuels, and is smaller, lighter and quieter than many rivals. "Telecoms towers around the world cost a lot to fuel and maintain," said Bladon Jets chief executive Paul Barrett. "Our unit doesn't use oil or water, so can go 8,000 hours between services." This compares to an average of 400 hours for standard generators. Bladon Jets focused on the African market because telecoms towers can be based far from towns, making them even more costly and time-consuming to maintain. The company is also in talks with customers in Mexico, Norway, Australia and India. vayu tuvan wrote: AmberG: That is a pie in the sky and had been from the days of Arnos Penzias' proposal within months of stepping down from the post of Chief of AT&T bell labs Research center at Morristown. Only now there are some results - this is in the past five years or so. Large scale manufacturing of the kind you are talking about is a holy grail and the applications are limited. India faces more pressing problems which need to be solved urgently which also require similar or even far more challenging fundamental research. Vayu ji - I think this is not a "pie in the sky" at all.. and some of the major practical benefits may appear in a short time (say 5 years). Modi has personal interest (he launched National Center of Flexible Electronics under Digital India) and there are some very good people leading it -- with lot of support from others. Another small example and this was a few years ago - one of my son's MS thesis was (he made a working prototype wearable electronics (in a Kevlar vest) -- for close range communication -- again something similar can be very practical/useful for Indian jawans. Point is unlike silicon wafers (where, say IC manufacturing- India is quite behind - almost non-existent), in this field we do not have to "catch up" but be a leader. Why cant India build a world class Semiconductor foundry, III-V materials epi growth and laser fabs like the west & Taiwan do ? Is it lack of capital or entrepreneural interest ? Well the answer lies in foundry utilization vs investment ratio. Newer and newer processes cost a lot. If you can not keep your foundry running all the time, you might as well not recover the investment cost. More and more companies became fabless in last decade and even Intel is allowing its foundries to be leased to outside vendor. You do not want to compete in such high risk market at such time. May be once process node stabilizes around 'x' nm, and cost comes down there might be a chance but not right now. What about public-private partnerships for such key strategic industries ? Idle fab times are indeed understandable worry for Investors looking for short term returns - but waiting for a "node stabilization" and then getting on bandwagon is actually part of the problem - why cant we do our own process development, research in this area into CMOS & beyond-FINFET technologies ? Also, semiconductor laser industry, advanced spectroscopic instruments, III-V materials and devices (sometimes there are no markets or applications but EU is secretly pouring billions).-Presently, we have an opportune moment in history - given the abundance of talent in India and thanks to Trumpanzee, we will continue to have a surplus engineering talent back home.. earlier even Mech, EE guys used to push themselves into software.. Now, there is a huge population of youth waiting to be led in the right direction. Did we not have a foundry in Chandigarh which got "burned down" or something like that in 1980s. This would have been possible lets say 10 - 15 years ago. Easiest route would have been to encourage one of the existing semiconductor companies to set it up in India. Now a days there are handful of companies which operate fabs and even then none of them might be looking to set up a new fab. If we want to set it up on our own, right now profit-to-investment ratio is very low. And if you want to add the cost of all-in-house research, well! we have a huge mountain to climb. The more process node goes towards smaller sizes bigger this mountain becomes. Question is again : is it worth it right now? For requirement in govt projects, probably what SCL is doing, makes more sense i.e. upgrade their foundries with process node which is well stabilized and cheaper to work with. Another option would be work solely on FPGA based designs. One doesn't have enough control over power and area optimization but a 28nm FPGA based design might still be smaller than 120nm based SoC. I am sure that FPGA will be well equipped to handle data rate and processing requirements. All the cellular companies rely on FPGA based solutions in Base stations when they are moving to newer 'x'G standard. For creating jobs and providing impetus to 'Make in India' dream, I am not sure it makes a good enough case to invest in foundry right now when we don't have any skills/R&D in this domain. Some businessman will have to think really long term to recover his investment. Yagnasri wrote: Did we not have a foundry in Chandigarh which got "burned down" or something like that in 1980s. I am not sure about it but my guess is it was SCL. I would therefore repose the question to you: If not now, when ? We have always been an end user/customer of high end core technologies developed by the more patient & strategic thinking countries. Waiting for a "node stabilization" is only going to leave India far far behind rest of the competitive world because the global tech direction is being decided by the chosen few w/ massive long term investments. We dont have to wait dogmatically for Moore's law to asymptote - India must realize this recurring theme of us being mere end-consumers (thats what I call all software developers & even circuit/system designers) of core technology that is strategically developed by the west, is detrimental to its long term security and interests. We also need to come out of CMOS-fixation. The world doesnt begin and end w/ CMOS and silicon tech nodes. Do you know what they are thinking beyond 3D transistors and beyond 7nm tech node where Samsung demonstrated working transistors ? People are trying to figure out how to use compound semiconductors in CMOS to boost performance. The industry of discovering new material systems, growing them, building useful devices out of them and employing them for nation-building related applications must be a far bigger priority for any govt and conscientious people than turning bright young minds to waste their youth doing backend office work and writing Mobile apps or doing marketing/data analysis. The software era perhaps was important to ensure middle class rose in India, but it shouldn't survive for ever. Its best to write its gradual epitaph and move over the bright youth to support a revolution in semiconductor industry - am thinking lasers, new material systems, fabs, and new materials research. Oh. May be I am not able to clearly put forth my views. I meant to say it is not worth it to invest into the fab tech. Not till the cost comes down. Look at the semiconductor industry or for that matter look at the professionals in semiconductor industry. Whole ecosystem is on downward trend. Companies are consolidating, smaller companies are either throwing the towel in or getting sold. The economy of it doesn't make sense to invest into it. And barrier to entry has always been high, even now when the growth trends are downwards. It would only make sense when investment costs come down. All the 3D transistors, fin-FET, SoI (Silicon on Insulators) they have been fancy as research topics, they require very specific skill sets, high research cost, but that hasn't changed the economic landscape of semiconductor industry. There was a time when MEMS were supposed to provide new impetus to fabs but even that hasn't materialized at big economic scale. Well future might be new materials, DNA computing, plasma, lasers, quantum computing but not semiconductors for sure. Only time we should be thinking of investing any money in semiconductor fab is when the investment costs come down. Hell we should be leapfrogging it, look at something else, like we leapfrogged land line phones and landed in wireless era. I understand your concern about being end user only, but there are times when one has to realize that ship has sailed, no point in going after it. Better take the learning from it and apply it in other situations at other times. Better to invest your limited energy and resources in something else where gains are justifiable. But again this is just my point of view. Who knows some genius comes out with new innovation and breathes a new life in semiconductor industry, possible but highly unlikely. - Regarding ship sailing - process development is not the luxury of ultra-rich companies of the west & East Asia alone. Let the Taiwanese & Koreans get stuck w/ expensive bulky semiconductor fabs.I am with a company that has gazillions stashed and does a lot of process development work in the semiconductor industry - you know where the most cutting edge innovation is coming from fabless companies that have built their entire IP portfolio around process development.. the knowledge of how they make the most complex stuff in the world that they accumulate through multiple rounds of short loops is key part of the IP.. I have gone through that cycle myself for several years and I know what goes into this work. Its not cheap, but not as expensive as starting a new foundry either. What you think of as Fancy research topics - the best companies in the world are already having internal working prototypes of.. hyper spectral imaging at wavelengths you think no one knew about, think circuits at 7nm CMOS SRAMs for Mobile SoCs. That's where the crux of innovation is and instead of all this "jugaad" nonsense or backend office work, if we focus on core tech development - it will truly liberate the country. Trust me, its not genius work - its systematic experimentation and attention to detail. Usually accustomed to spending most of their time making nuclear weapons, a group of scientists in India have developed a unique life-saving device. And a low-cost, affordable solution for the rural masses of India at that. "The quality of the ECG is excellent and it has come to me in two to three different formats for me to view and it appears to be normal," Dr Hemant Haldavnekar, a consulting physician, said. "This is a small low-cost ECG machine that on a single charge takes 300 ECGs. 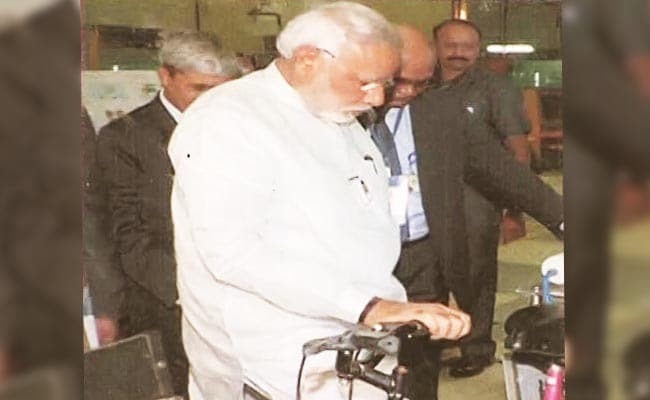 It is rightly suited for rural areas," the developer of the tele-ECG machine, Vineet Sinha, Scientist, Bhabha Atomic Research Center (BARC), Mumbai, said. In a very dry place like Jaisalmer water is in short supply. A 750 Mwh solar plant covers about 6,5 km2 in area (Reva solar project in MP). Jaisalmer recieves about 100mm rain PA. On an area of 6,5 Km2 it would recieve 6,5 million m3 of water. Which would support up to 150 000 people. Going by the same math. building a 75 000 Mwh plant, covering 650km2 could support 15 million urban population. Total cost would be 75 Billion USD. In a statement, Rob Lloyd, CEO of Hyperloop One, said they will have 500 people working on bringing this technology to life by the end of the year. In a more immediate development, they said they had finished a test track 500 meters (1,640 feet) long near Las Vegas, Nevada, called the DevLoop. This will be used to test various ideas for how best to operate the pods and tube. Previously, they have shown off a demonstration of the pod technology. The 11 routes proposed by Hyperloop One vary in length from just 103 kilometers (64 miles), connecting Boston and towns in Massachusetts, to 1,854 kilometers (1,152 miles), connecting Colorado and Texas. The latter journey would take just 1 hour and 45 minutes in Hyperloop, compared to 17 hours by car. Combined, the routes would create a web of high-tech transport across the US that would enable high-speed travel like never before. About time our startup environment started encouraging invention of cheap CNC machines like these which can be used very successfully by small scale industries, artists, wood and metal workers for making customized tools quickly. Apply for funding if you have a small company or if you are an academic or even individual with an idea for defence related product. Has to be something showing a level of innovation worth funding. NEW DELHI: Defence Innovation Organistaion (DIO) is to be launched as a non-profit company later this month to foster technology development and innovative products with commercial potential for the defence sector, informed sources said. The company is being formed by defence electronics major Bharat Electronics Limited (BEL) and defence aviation major Hindustan Aeronautics Limited (HAL). The Defence Ministry had in December approved the creation of a Defence Innovation Fund (DIF) under which the DIO is being formed. "This was a Ministry of Defence initiative and was tasked to BEL and HAL. The new entity will work under the guidance of the ministry which will provide the ideas and topics for innovation," a BEL source told IANS. The company will fund development of new and innovative products and solutions for India's defence requirements. "Anyone from academia, medium and small enterprises, research and development institutes, individuals and start ups can approach DIO for funding," source said. "BEL and HAL are contributing Rs 5 crore each to Defence Innovation Organisation, a Section 8 company, to promote innovation in defence. The company will be launched within this month," the source said. As per the Section 8 of the Indian Companies Act, 2013, not-for-profit companies can be established for promotion of art, culture, science et al. After the launch, DIO will choose a knowledge partner for screening the ideas received for funding support. The selected ideas will be financially supported to work on the proof of concept and those will go through further down selection process to select concepts that can be funded for prototype development. 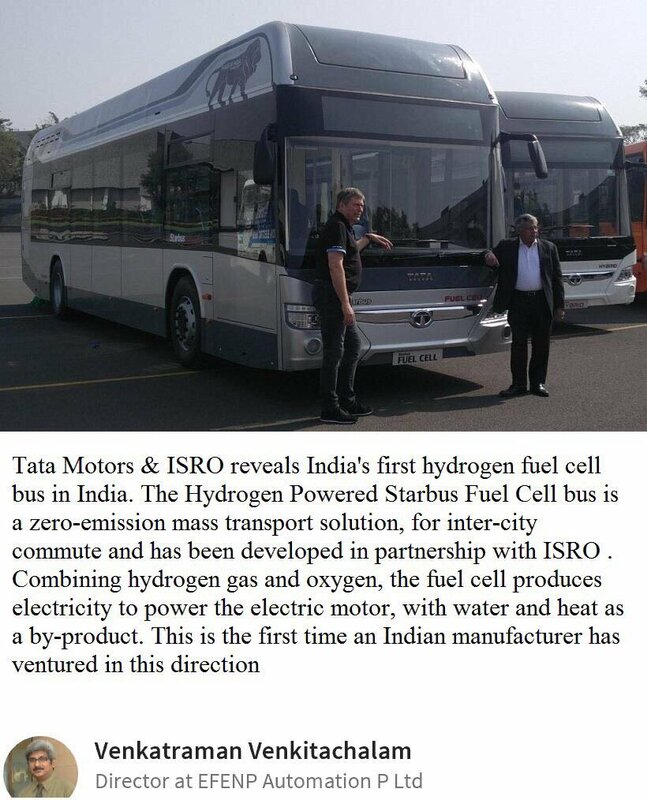 The successful prototypes will also be helped in their commercialisation. "If we get good response then the fund can go up to Rs 100 crore, with Rs 50 crore each from both the partners," source added. The process of the registration of the company is in final stages. According to sources, the company's board will initially have two nominated directors, one each from the HAL and BEL. The process of selection of the nominee directors is underway. The DIO, in future, may also have some independent directors. Freight villages will change the logistic narrative of India: IWAI’s Pravir Pandey. Inland waterways are going to change the transportation dynamics in India and IWAI is fully preparing for it. We have hired a German firm to design vessels especially for Indian inland waterways and they have come up with 13 designs, which can run in low draft and have high carrying capacity. Our designed vessels can carry up to 2,000 tonnes of cargo, which is equivalent to 140 trucks or a full railway rake. These designs have been tested and cost around Rs 15crore (in total). Despite being an intellectual property right of the Indian government, from June onwards, it will be in public domain free of cost for ship owners to manufacture these and run in Indian waterways. I would differ with them here. Inland waterways are going to introduce the concept of room for rivers in India and help them to rejuvenate. We are going to introduce regular dredging and have already changed its whole concept. Now, we are giving full stretches of 100km and above for dredging for 5 to 7 years where the company will be responsible for maintaining 3 metre depth and 45 metre width of river. It’s a bit more expensive but we have transferred our risks to the private sector. If the vessels cannot pass, then no payment to the contractor. The first such project worth Rs150 crore has been awarded to Adani Ports and SEZ. This whole Jal Vikas Marg project is worth Rs5,369 crore or $8 million. Half of it will be borne by World Bank and the rest by the government of India. Under the National Waterway 1, there are several engineering marvels that are coming up. But the best one is the navigation channel at Farakka which would be India’s Suez or Panama canal. It is a challenging engineering project which will be inland waterway’s engineering marvel. Hope it really is artificial intelligence and not just a glorified keyword search of case documents. Has India even developed MRE packages for it's military? In times of war, what really is the strategy to keep an army on the move rapidly fed? Hopefully there is a strategy. 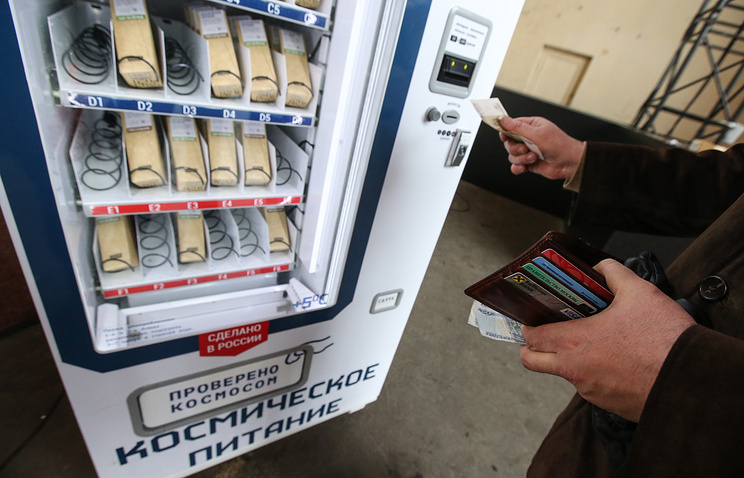 In line with the agreement, Glavkosmos will promote and sell internationally the space food, produced by the lab. In addition, the sides agreed to render information support and jointly take part in international events,” Roscosmos said in a statement on Thursday.” This cooperation opens new business areas for us. We see potential demand for space food on the international market, many of our traditional foreign partners have demonstrated interest in purchasing space food,” Lyskov was quoted as saying.